Are Fresh Eggs Really Better? It’s been said that chickens are the “gateway drug” to homesteading. A small flock of chickens is inexpensive to acquire and raise, fairly low maintenance, doesn’t require much space, and can be raised purely for eggs without having to dive into the world of home butchering. However, it’s virtually impossible to raise your own egg-laying flock for less than it costs to purchase supermarket eggs. So from an economic standpoint, it doesn’t make sense to raise chickens for eggs. But considering how popular chicken keeping has become, the dream of fresh eggs daily a from backyard coop clearly holds great allure. To set the stage, did you know the average store-bought egg can be several weeks old by the time you purchase and consume it? Commercial producers typically strive for 72 hours’ delivery time, but are given a full 30 days between laying and shelving dates by regulations…and retailers have another 30 days to sell them. Conversely, the average “home laid” eggs might be just hours, or even minutes, old. I often head to the coop to let my chickens out in the morning, come back to the house with eggs still warm to the touch, and crack them right into a sizzling hot skillet. It doesn’t get much fresher than that! The yolk of the older egg has deflated and flattened out a bit, will break more easily, and possibly has even begun to dry out—moisture is lost through the eggshell’s pores, changing proteins as the egg ages. So let’s compare eggs, starting visually. It’s immediately apparent which egg is the fresh one. The yolk of a fresh egg is compact and stands up high. It doesn’t break easily. The yolk is bright orange. Yolk color isn’t determined by the freshness of the egg, but rather the hen’s diet, and commercial feeds tend to be mostly of wheat and barley which will result in pale yolks. In contrast, the diet of a backyard hen will likely be a more varied buffet including corn, alfalfa, marigolds, leafy greens, grasses and weeds, all of which are high in the carotenoid xanthophyll which produces more vibrant orange egg yolks. The white (or albumen) of the fresh egg is cloudy, viscous and thick, with a slightly yellowish tint. The tint comes from the antioxidant-rich riboflavin (Vitamin B2) in the egg which is important for energy and metabolic function, building body tissue, and promoting good vision. 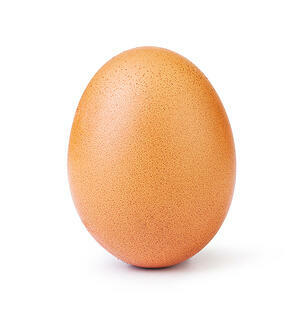 The cloudiness is carbon dioxide inside the egg that hasn’t yet had time to escape through the pores in the shell. In sharp contrast, the older egg white is clear, runny and spreads out in the pan. Although egg nutrition stays fairly consistent as an egg ages, in my opinion at least, the taste of an egg degrades as the egg ages. You really can’t beat the taste of a fresh egg. Eggs laid by backyard chickens gorging themselves on a varied diet of plant and insect matter will taste better than eggs laid by chickens fed a commercial diet, in my opinion. Furthermore, eggs laid by chickens with access to the outdoors lay eggs that are lower in cholesterol and saturated fat, and higher in vitamins and nutrients than eggs laid by caged birds. There is one advantage to older eggs: they peel far easier when hard-boiled. Fresh eggs are notoriously difficult to peel. This is because air hasn’t had time to seep into the egg through the pores in the eggshell to pull the outer membrane away from the shell, but there’s a simple solution to that. No need to buy old eggs or let your fresh eggs sit and get old. The secret is to steam the eggs. Twenty minutes in a steamer basket or colander over a pot of boiling water and then right into a bowl of ice water until cool to the touch and your eggs will peel perfectly every time—even if they were just laid that day. So yes, the evidence is clear. Fresh eggs really are better. AcreageLife is excited to introduce our newest contributor, Lisa Steele. Hundreds of thousands follow this accomplished Maine homesteader on her popular Fresh Eggs Daily blog (and on Facebook, Instagram and Twitter, too). A fifth-generation chicken keeper, Lisa is a Master Gardener, an accomplished coop-to-kitchen cook, and author of five books. 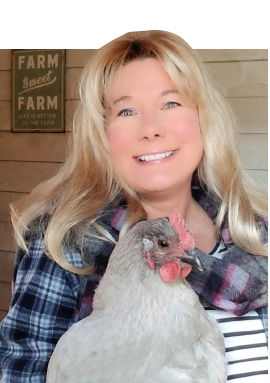 Lisa’s AcreageLife column follows her passion to inspire others to raise chickens and ducks, grow gardens, cook fresh food, and live a more simple, sustainable life.